I haven't been doing much sewing, so there's not been a lot to blog about for the past couple of months. Other 'stuff' can get in the way, don't you find? 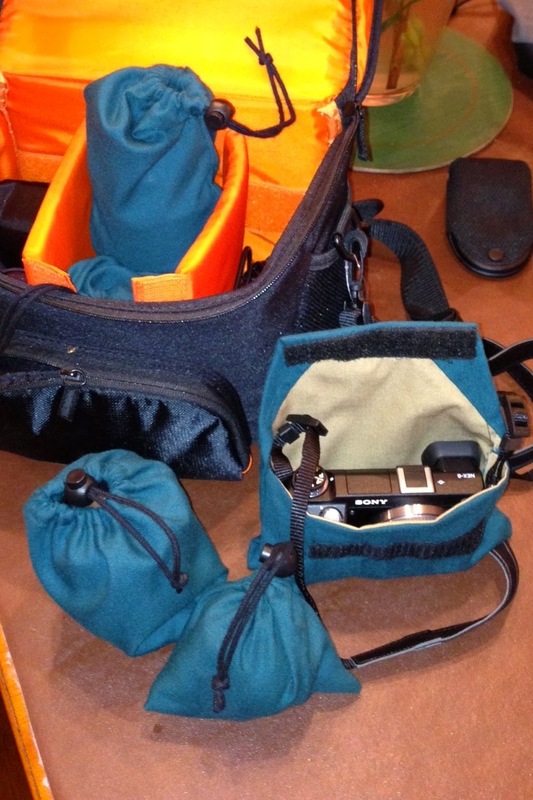 All I've done with the machine recently is to knock up some camera/lens bags for Dave-next-door's new camera. 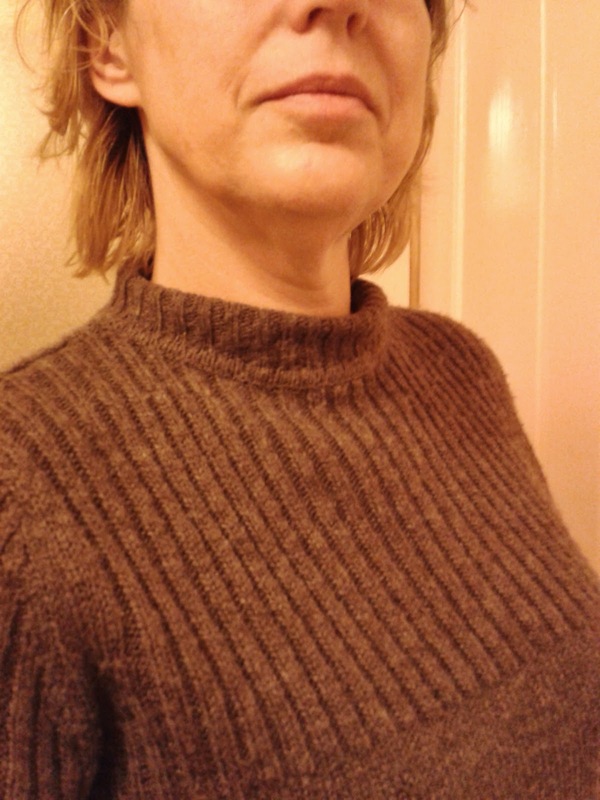 And with a darning needle and a great deal of care and patience I've altered the unflattering turtle neck on a woolen dress into a crew neck. I think I heard them!!! Love that sound. Silver Bells is one of my favorite sounds. Not you too, with this Xmas thing. I don't want to know, but I do want you using that machine again and quilting some more, though I expect with work and the allotment it doesn't allow much time. Looking forward to see what you get up to.